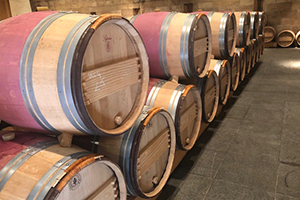 Earlier this month we tasted our way around Bordeaux to assess the 2018 vintage. Fortunately it was a worthwhile trip with many successful wines that transcend both classifications and appellations. However, it was not a homogeneous vintage but localised to specific sites. Several vineyards were hit by hail and a wet spring into early summer led to an outbreak of mildew, reducing crops drastically. Those practising biodynamic and organic viticulture suffered especially. Château Pontet-Canet and Château Palmer reported yields of less than 11hl/ha. Fine dry sunny weather in the second half of the growing season, from mid July into October, helped to save the harvest. Very hot day temperatures in July and August were moderated by cool nights, which preserved grape acidity levels. Growers were rewarded with fully ripe healthy grapes, resulting in many superb wines. These were characterised by pure sweet berry fruit, big ripe tannins and moderately high alcohols. The top red growths have made the finest wines, although there are plenty of surprises across the region. We were particularly impressed with tannin management and fruit selection. There is less over extraction nowadays, more precise winemaking and better overall balance. This is an excellent vintage, hypothetically like a blend that presents the classic, pure finesse of the 2016s with the rich opulence of 2009 and the 2015s. The dry whites are largely good, especially the Sauvignon based styles. The Sauternes and Barsacs were more variable. Some had just enough botrytis to make luscious mid weight dessert wines. We will be offering a selection of the best chateaux as they are released. As quantity is less than last year and quality is greater, some producers will try to raise their prices. Hopefully these will be no more than the 2016 release offers.